Report Update evaluates Tesco's progress in locating in food desert areas, and the company's commitment to green building. LOS ANGELES - On November 8, 2007, Tesco, the world's third largest food retail corporation, will open its first six Fresh & Easy Neighborhood Markets in Southern California. Tesco's entry into the U.S. market raises key food access, health and environmental issues that apply to the supermarket industry as a whole. 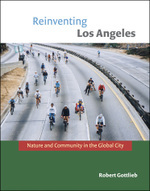 These sets of issues were evaluated in the Urban & Environmental Policy Institute's August 2007 report, Shopping for a Market: Evaluating Tesco's Entry into Los Angeles and the United States, which can be accessed online at www.uepi.oxy.edu. Today, UEPI releases an update to Shopping for a Market that addresses two of those issues: the location of stores in food deserts and Tesco's environmental profile regarding the company's plans for green building certification.